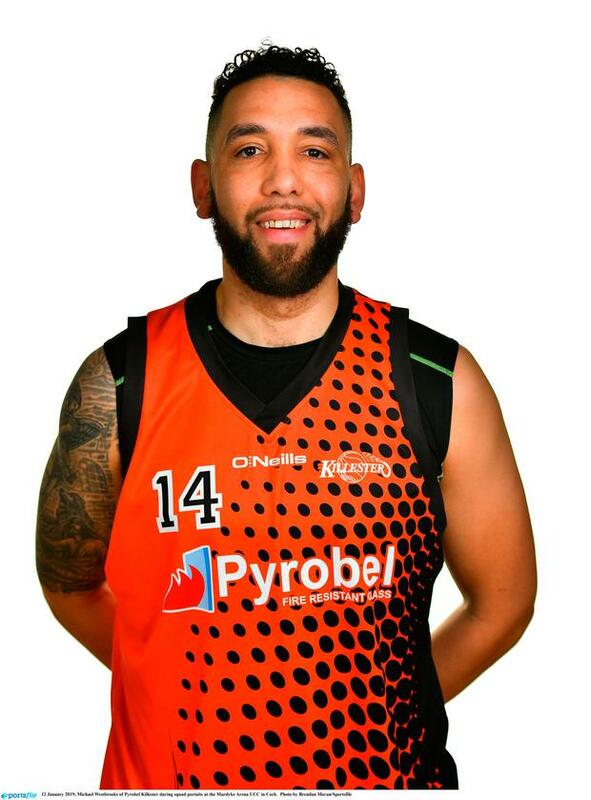 Michael Westbrooks has learned a thing or two since he returned to play for Killester after three years working in a Texas secondary school. Firstly, the 36-year-old, who bids for National Cup glory against UCD Marian this evening, has learned to become one of the team's veterans. That was a role his father, and club legend, Jerome occupied when Michael played his first season with the club in 2001 - the year the pair also won the Cup. "Dad and Ed Randolph (father of Irish soccer goalkeeper Darren) would have been the two elder statesmen in the team and I was just the young pup of the squad at that time," he says. "Now I'm the oldest on the team. It's a different experience, trying to keep up with these younger players." The second thing Westbrooks learned is managing parenthood and basketball - the school guidance counsellor returning to Ireland after he and his wife Emily had adopted two children. "That's the reason we went over (to America). The process here is very difficult. It's a long, long process. For us, it was easier to go back to the States as both of us have dual citizenship," he explains. "We've two children. Maya, she's three years old, and our son Noah who is one. We adopted both of them from infancy. "It (returning to Killester) basically means a big sacrifice for my wife. She puts a lot of time in. Nights away. Less rest. Less sleep. In fairness our kids are good sleepers which helps a bit." Returning to the Super League has also meant facing his brother Isaac, who left Killester to play for Griffith College Swords Thunder. "It's never fun, I'll be honest with you. I'd rather play with him but at the same time it's nice to have the bragging rights," Michael says. Though Westbrooks played basketball recreationally while in Texas he admits coming back to the "higher level" of Super League has required some adjustment. "First things first was my body. There was niggling injuries through pre-season," he reflects. "It's been a slower process than I thought but I've loved the daily grind of practice two or three times a week." Whatever struggle he has had to endure in his return to action it hasn't held Killester back this season. The Dublin team are one of four sides within six points of table-topping Templeogue and will hope tonight to claim their first Cup title since 2010. Reigning league champions UCD Marian, who are still smarting after losing last year's final, stand in the way having beaten Killester 83-63 in last weekend's league dress rehearsal - something Westbrooks plays down. "If we focus on what we have to do well then we won't have to worry about UCD as much," he reasons. "Two results didn't go our way but that's what the Cup final is for, it's a once-off game." Meanwhile, in the Women's Cup final, Cork side Brunell will face Liffey Celtics in the National Basketball Arena tomorrow.